The FT4 is a powerful and versatile universal powder tester for comprehensive powder characterization. 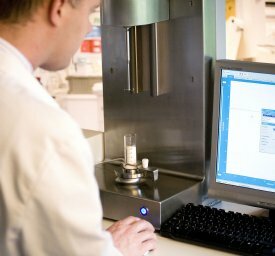 By combining dynamic, shear and bulk measurement it enables the efficient identification of powder properties that directly correlate with in-process behaviour and product performance. Applied across the product lifecycle such data optimize product and process development, streamline technology transfer and scale-up, and increase the effectiveness of troubleshooting. The seminar has cross-sector appeal and will include a number of case studies illustrating how the FT4 is currently being used. It will be hosted in a hotel close to the Mumbai Exhibition Centre simplifying attendance for those already visiting CPhI and P-MEC.